A spook-tacular surprise for Halloween! 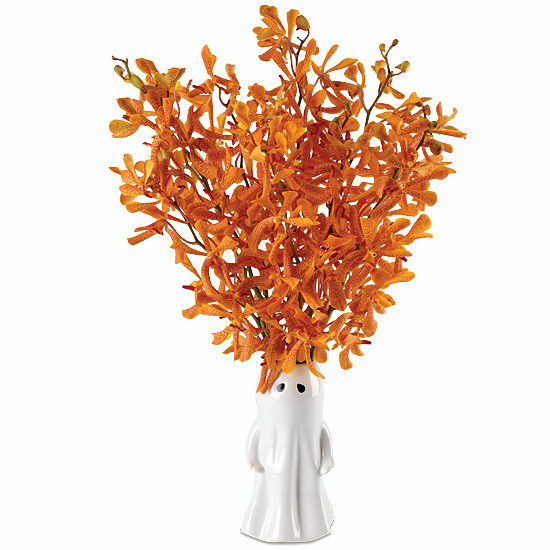 Ten magnificent mokara orchids ablaze with countless orange petals flecked with fiery red stand tall in our adorable ghost vase. 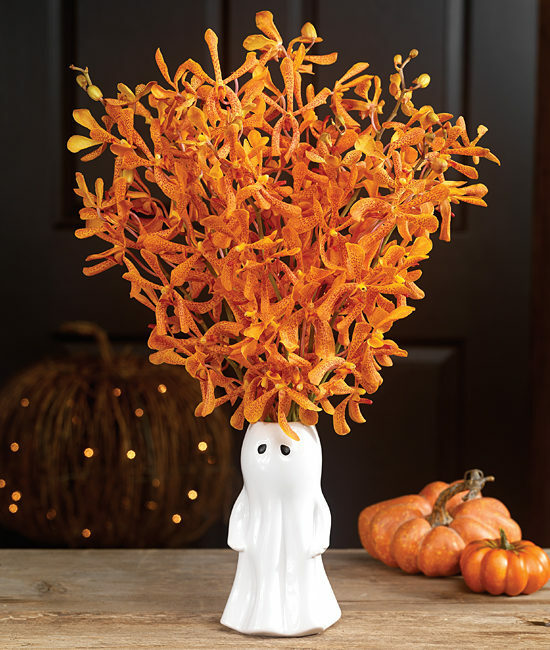 The hand-formed ceramic vessel holds the stems up straight and will no doubt become a favorite piece of home décor every year. No tricks here; this fun, festive, and BOO-tiful bouquet is all treats.